This traditional pumpkin pie harks back to American colonial times, with the ever popular combination of pumpkin and maple syrup. 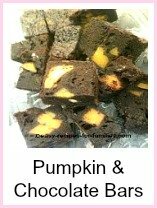 It's another of our super easy recipes in our collection of pumpkin recipes. 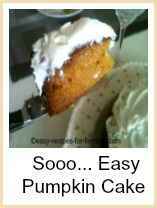 This recipe is really very simple. 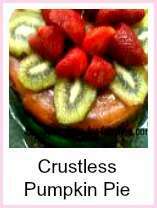 Just follow the instructions on the recipe and the brief photo instructions as below. 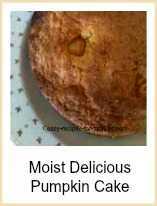 However if you're not familiar with baking, please do click on the "Learn How" buttons to take you to each step of the recipe to see in detail every stage of this baking process. 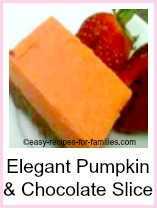 Make the delicious traditional pumpkin pie filling. Use low fat ingredients for a healthier alternative. Bake and decorate this sensational pumpkin pie. And finally top with lashings of whipped cream. 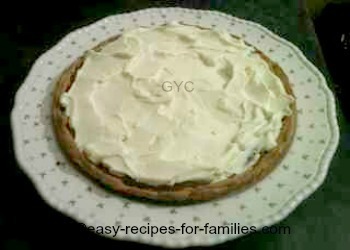 This pie presents elegantly and tastes divine! Our guests enjoyed this delicious sweet and not too rich pie after mains from our easy recipes, Stuffed Peppers. This budget meal with ground beef, was sensational and looked absolutely terrific! This recipe makes 6 - 8 serves. 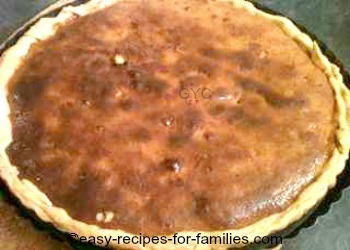 Enjoy this very popular Traditional American Pie. Don't skip the application of egg-wash. The objective of the egg wash is to seal the dough so that it does not become soggy when the filling is poured in. 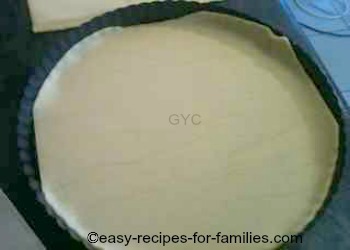 If you'd like a deeper pie, double the quantities and use a pie pan with higher walls. The pie must be completely cool before the addition of the cream topping. If you're in a hurry, cool it in the freezer. 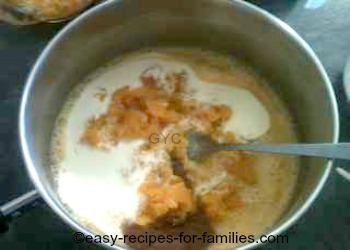 It generally takes 1 pound/500 grams of fresh pumpkin to yield 1 cup of pumpkin puree. 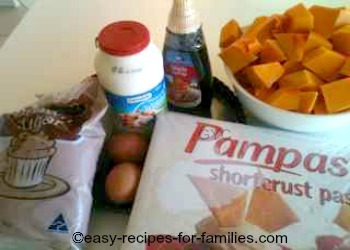 This link takes you to the page on how to make pumpkin puree. If you have pie weights, use them when baking the case. Remember the process is to bake them with weights, then remove the weights to glaze with egg wash and it's back in the oven again. For our easy recipes, we use the traditional method used by our Grandmothers and bake the case as is, pricked and sealed. The pie case will rise, but just press the pastry back down with the back of a spoon. 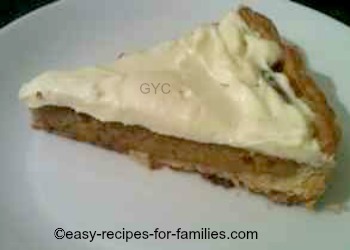 Leave Traditional Pumpkin Pie and browse through loads of scrumptious easy recipes with easy step by step photo instructions.